With more than 15 years of experience and a dedication to our clients' rights, our Rancho Cucamonga lawyer at Family Law Advocacy Groupis the right choice for any matter related to family law, estate planning, and probate. At Family Law Advocacy Group, our firm is passionate about helping clients. Whether handling a divorce matter, estate planning, or probate issues, we are confident in our ability to provide the top-tier legal guidance that our clients need and deserve. There is no universal guideline that determines how these types of cases should be handled. Whether you are fighting for custody of your children, working out the best way to divide property, how much spousal support you owe or are owed, or if you are working to navigate the intricacies involved in a high net worth divorce, having qualified legal representation is a necessity. Our lawyers at Family Law Advocacy Group have experience handling these potentially tricky situations and understand the best way to adapt to any complication that may come up. 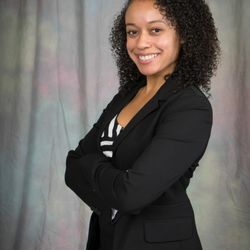 Ariel Carter is a Senior Counsel at the Family Law Advocacy Group who primarily focuses her practice in the area of family law, including divorce, child custody and visitation, and child support. She has appeared for hearings in Los Angeles, Orange County, Riverside, and San Bernardino courthouses.